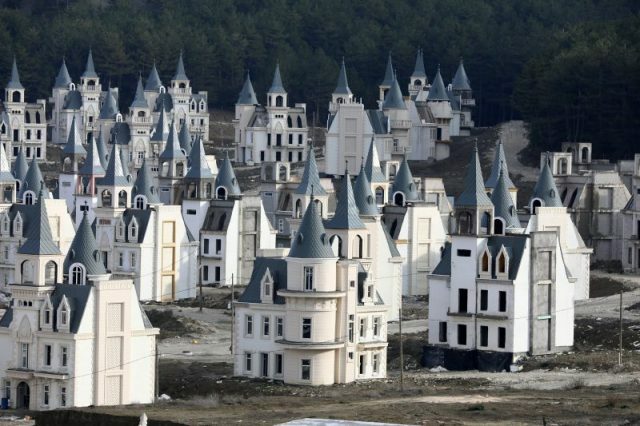 An ambitious Turkish housing development with a fairy tale twist has become a ghost town of epic proportions. 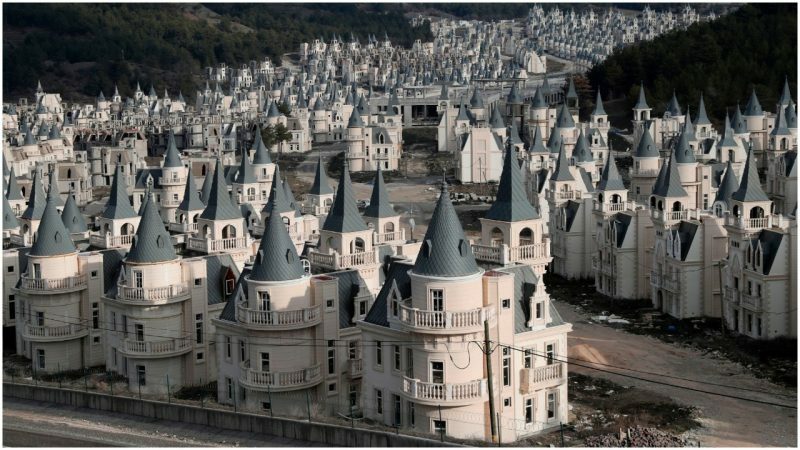 Burj Al Babas, located between Istanbul and Ankara, looks like an abandoned movie set, or a feat of CGI special effects. However the unusual sight is very real and has got the world talking with its striking display of multiple — and identical — castles. Drones have explored the cluster of turrets to reveal the scale of this epic misstep. The structures bring to mind Disney, but also something more unsettling. Alongside magical features, such as a spiral staircase and rolling hills, visible through the window are shrink-wrapped furniture and gouged walls. Of course it wasn’t supposed to be this way. The original idea was for Burj Al Babas to be an accommodation hub for the well-heeled who wanted to play Prince and Princess. At an overall price tag of $200 million, with dwellings on sale for $400,000-$500,000 apiece, luxury was the byword. Sarot Property Group started laying foundations in 2014. Half a decade on and a biting recession later, the company are struggling to survive. Extremely sluggish sales resulted in a distinct lack of hand-biting from the target market of Gulf investors. Traveller.com writes that “Although around half the villas — some 350 properties — were initially sold, largely to Middle Eastern customers, the company has filed for bankruptcy protection.” 732 buildings were planned. 587 were finished. Hopes for Burj Al Babas were high. The project even got the national seal of approval from President Erdoğan, who saw Burj Al Babas as a welcome money-spinner for the country. Measures being taken to address the downturn include relaxing citizenship rules to attract overseas investment. Meanwhile Sarot Property Group believe they can resolve their debt issues by selling 100 of the fantasy-inspired properties. In a further complication, Burj Al Babas has faced a lawsuit from those angry at the company’s treatment of forests in the Mudanya district. It turns out people were not even impressed with the design aesthetic of the development in the first place. So what started as an opulent vision straight out of a storybook has turned into a financial and cultural nightmare for its architects. How will the issues be resolved? In the words of a famous franchise, they might want to wish upon a star to make their dreams come true.